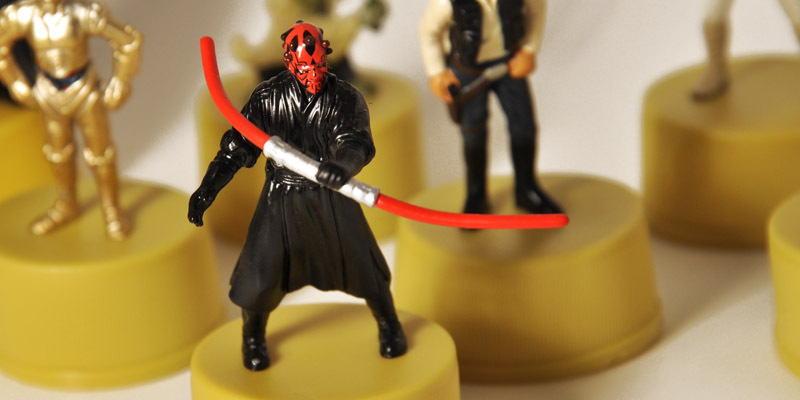 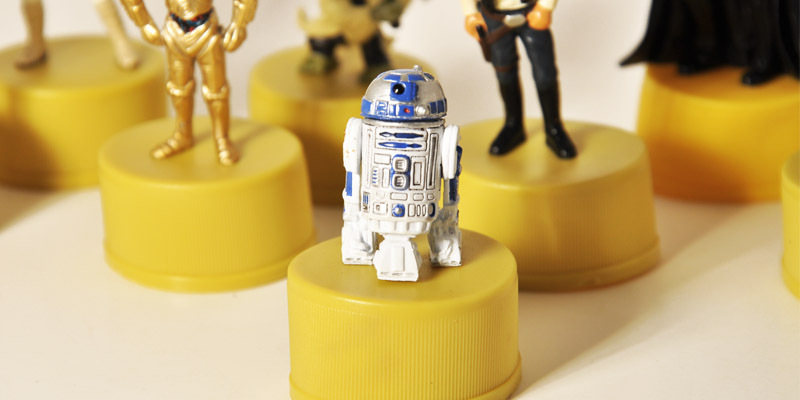 We followed the force to find to this extraordinary 2" Star Wars mini figure collection from MK Ice Tea. 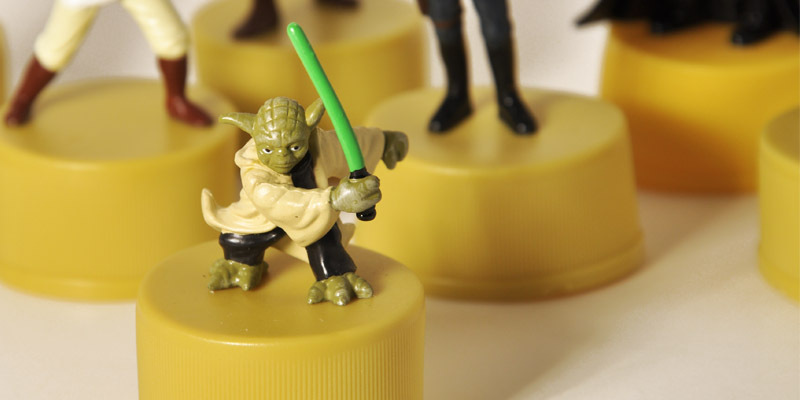 This 2005 collection was originally a promotional giveaway by MK Ice Tea to commemorate the release of the final Star Wars film. 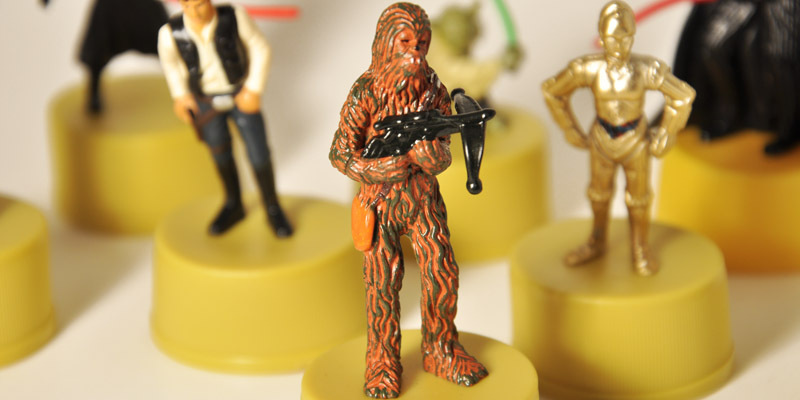 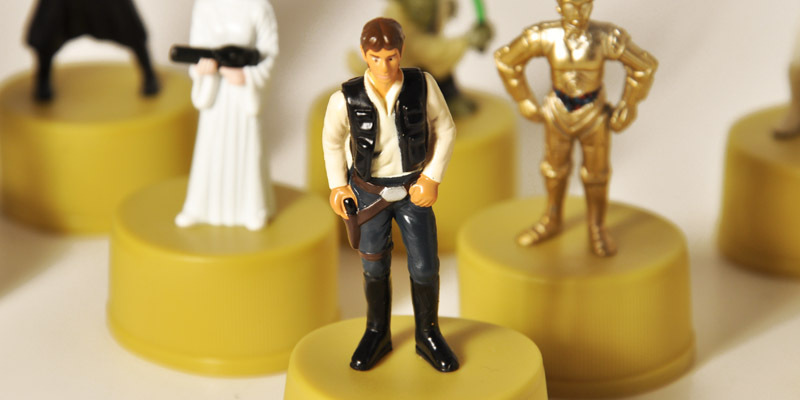 From Han Solo and Chewie to Yoda and Darth Vadar each of the 12 figures are masterfully sculpted and beautifully hand-painted. 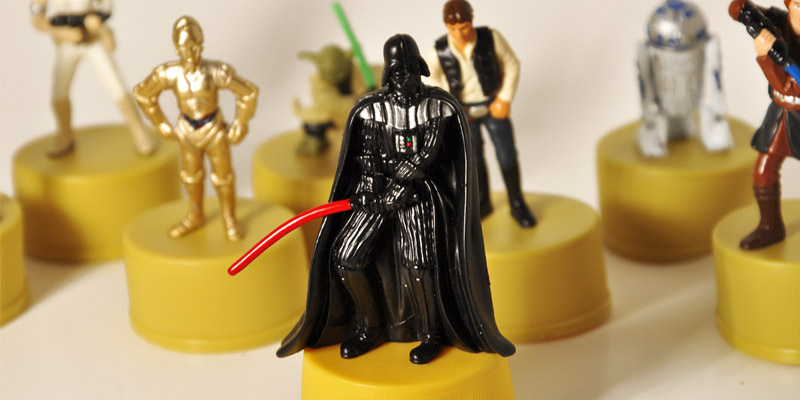 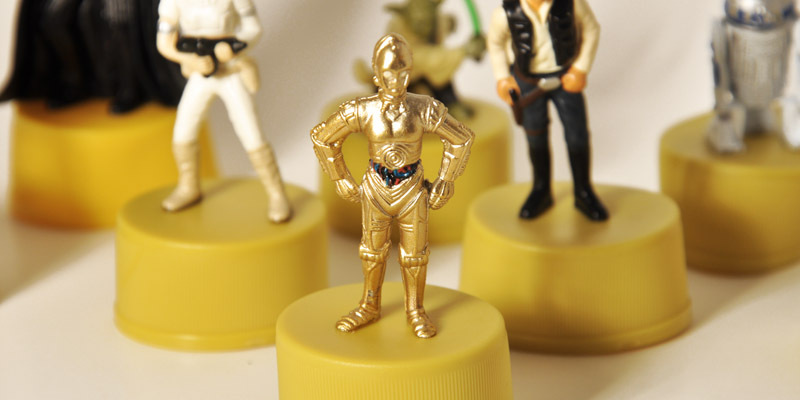 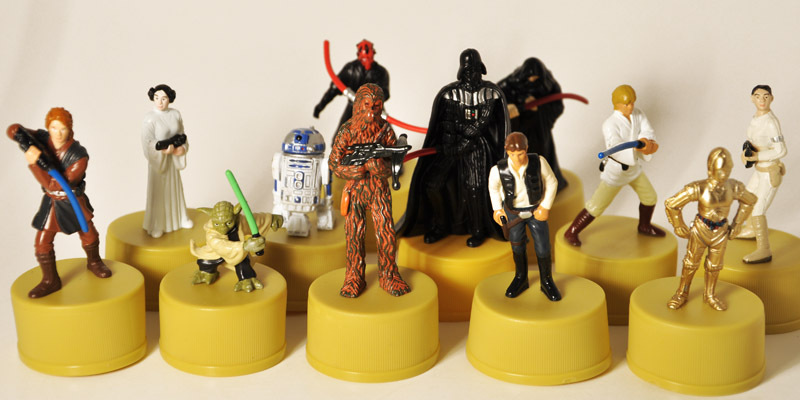 Since these were giveaways by a beverage company it's only appropriate that each figure come standing on a "bottle cap" At just $2.95 this is the perfect fix for any Star Wars addiction!